As a member of The International Association of Evidence Based Psychotherapy (formally known as the International Association of Pure Hypnoanalysis,) Continuous Professional Development ensures awareness of up to date research in fields such as Personality Disorders, anxiety and stress, symptoms and conditions, the effect of Placebo, indicators of psychosis and the processing of ordinary memory versus traumatic memory and it’s effect upon the psyche ( and indeed impact upon the therapy) Therefore the clients needs and limitations are cautiously observed. Paramount is their overall care and suitability for therapy. 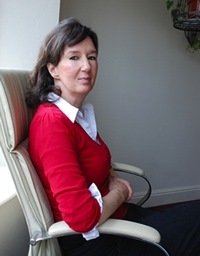 In addition to her interest in psychotherapy and the therapeutic application of hypnosis, she has a keen interest in the use of hypnosis for business and sports performance. she agreed to take one of the reporters through the process and the result was outstanding.